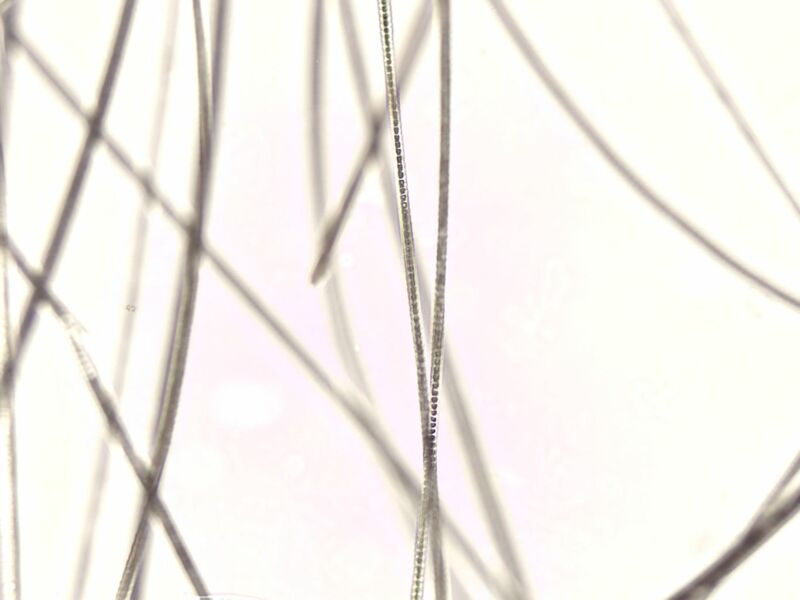 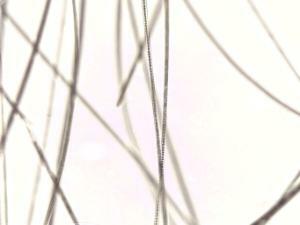 Investigate the structure of hair from various animal species. 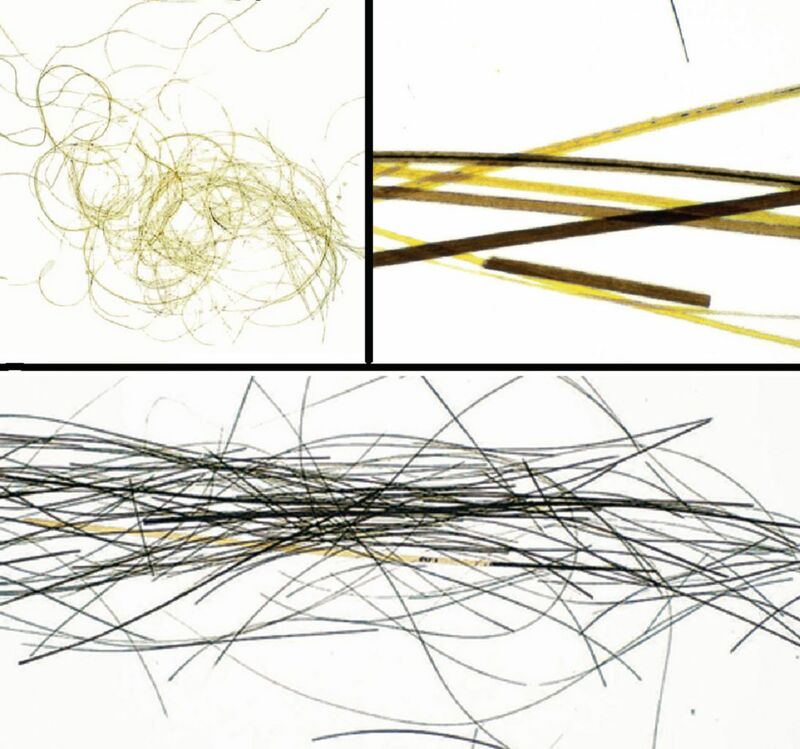 Investigate strands of hair collected from a variety of species. 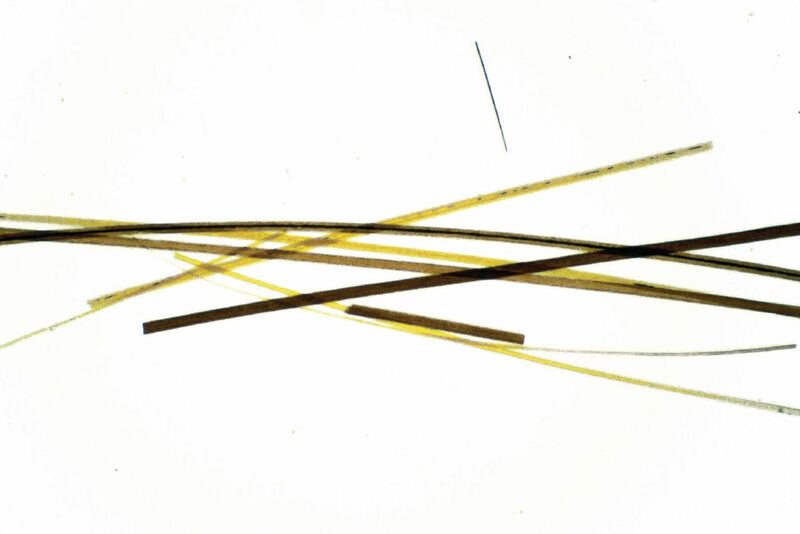 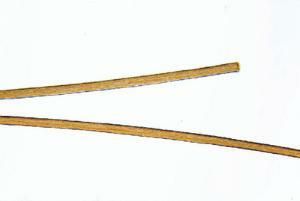 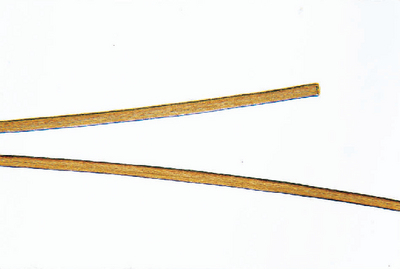 Hair samples consists of the hair shaft, but no follicle. 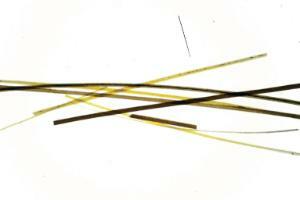 All hairs on a slide originated from the same donor, and gender is not specified. 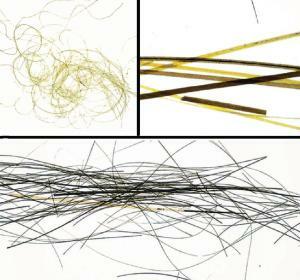 Woolly Mammoth hair samples were recovered from 15000 year old mammoth remains in the Timyr Peninsula, Siberia, Russia.